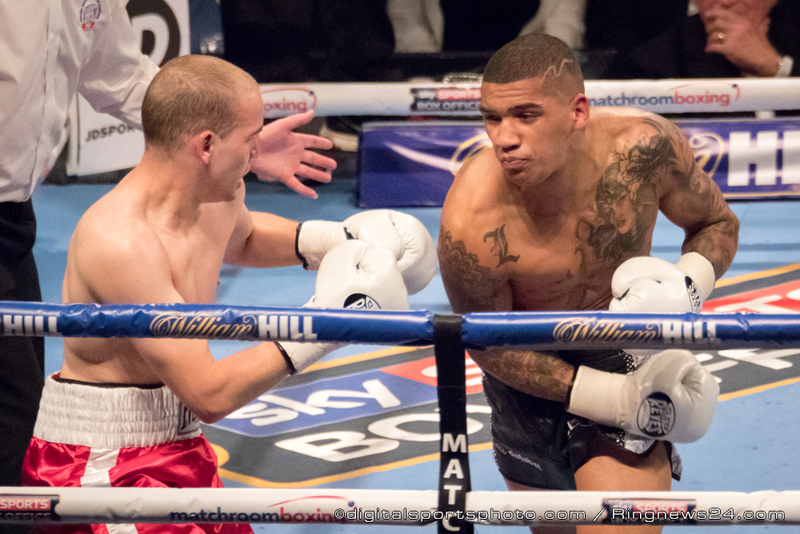 Conor Benn has signed a two-year promotional deal with Matchroom Boxing. Benn has raced to 11-0 with 8 KOs in the pros since turning pro with Eddie Hearn in April 2016, with his last fight proving to be a small-hall classic as he recovered from hitting the deck twice in the opening round with two knockdowns of his own against Cedrick Peynaud at York Hall in December. Tickets are on sale now priced £40, £60, £80 and £100 from www.echoarena.com and on 0344 8000 400.